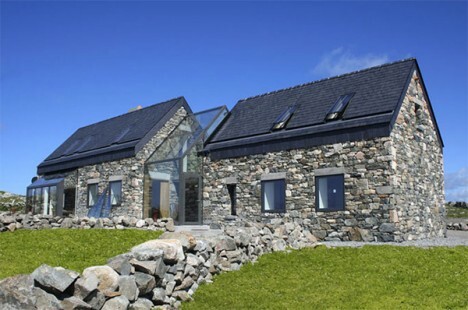 The crumbling stone ruins of churches, farmhouses and barns are integrated into new structures that preserve and display their historic character while adding playful modern elements, like glass additions that adjoin disparate buildings or fill in damaged areas. 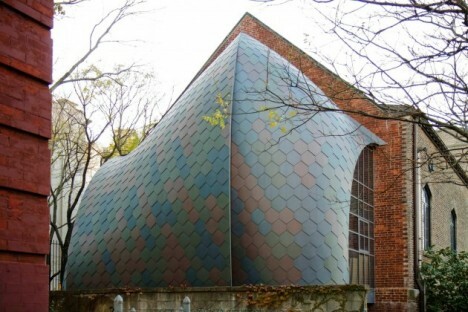 These 13 renovations to historic architecture include examples of when the process is done right – honoring the original structure’s heritage – as well as cases where the changes are less than welcome. 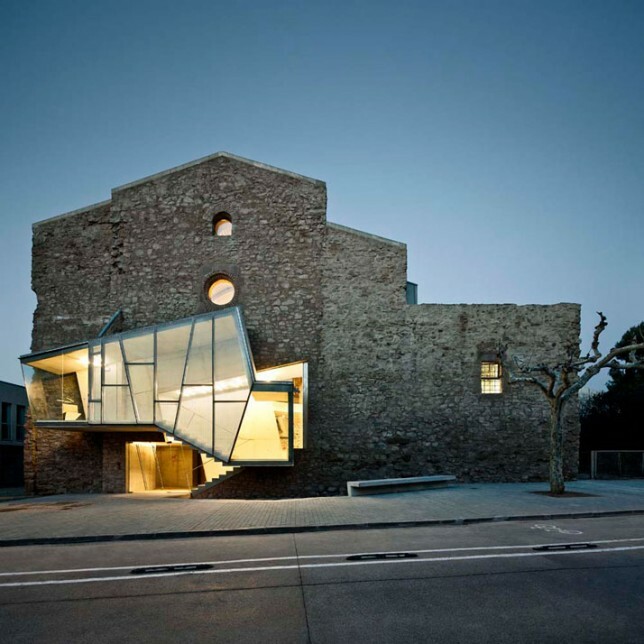 A gaping hole created during the demolition of an adjacent convent was filled in with a geometric modern glass addition at the Sant Francesc church in Santpedor, Spain, a stone building dating back to 1721. 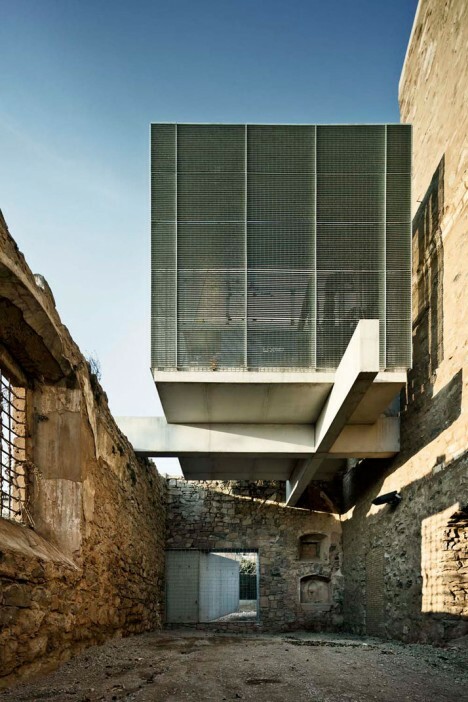 The renovation added contemporary elements to both the interior and exterior while leaving the evidence of the building’s decay over time in place, creating skylights where the ceilings had caved in. 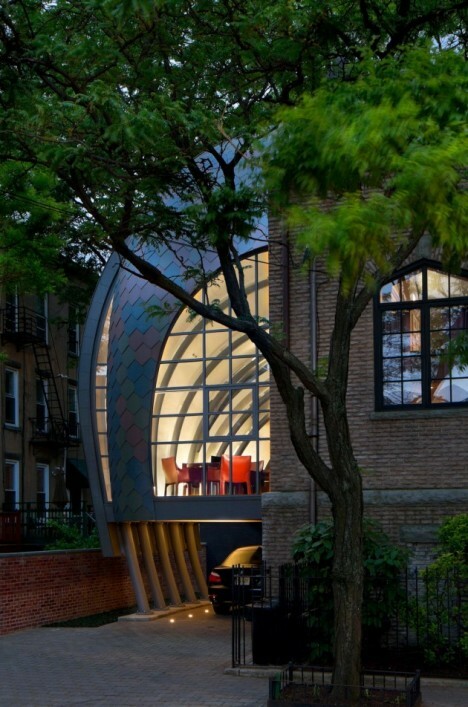 A historic brick church in Hoboken, New Jersey in use as a studio for Marchetto Higgins Stieve Architects is extended with an unusual glass canopy, curving down from the upper portion of the existing structure to the ground. 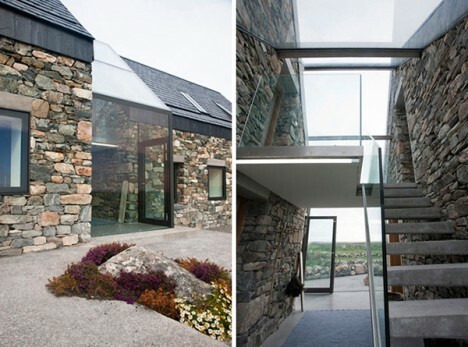 A pair of dilapidated stone farmhouses in Ireland are now connected via a transparent, glass-enclosed staircase. 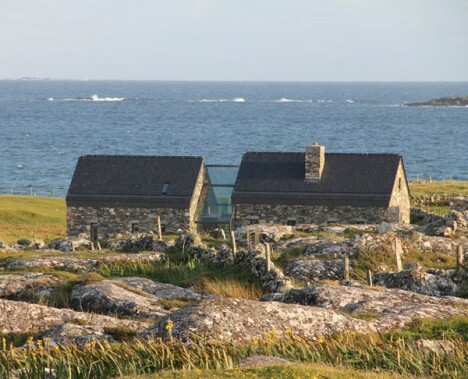 Architect Peter Legge maintained the rustic character of the rural buildings but added the glass atrium to unite them, as well as a transparent dining area with folding doors. 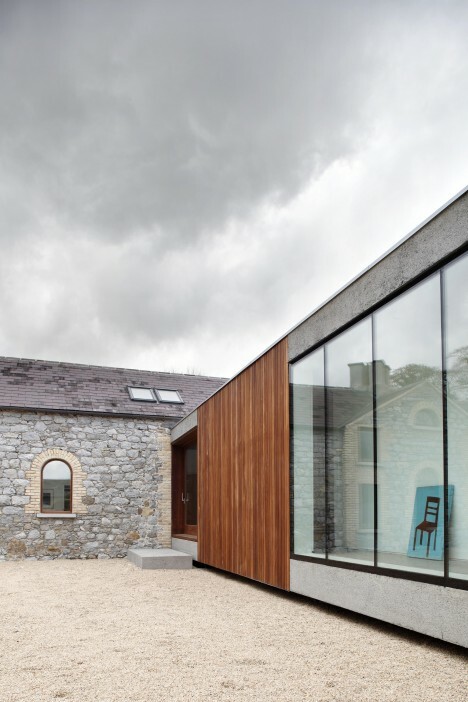 ODOS Architects transformed a collection of 18th century stone farm buildings in Ireland with a new single-story wing made of glass and timber. 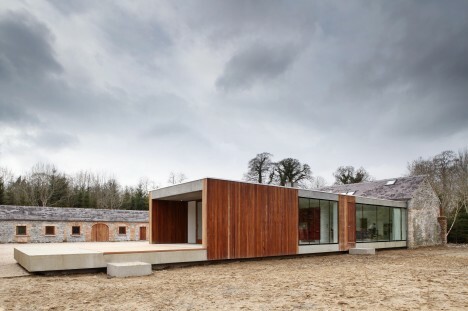 The new wing unites the trio of existing buildings to create a courtyard and enables views to the adjacent woodlands with large expanses of frameless glazing. 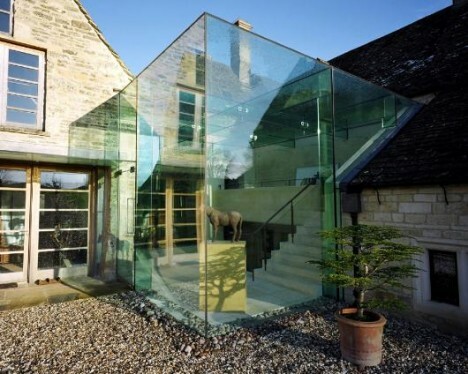 Having absorbed “changes and layers of occupation from the 17th century onwards,” this farmhouse in Gloucester has now evolved into a contemporary home with the removal of incongruous additions from previous eras and the addition of a modern glass structure. 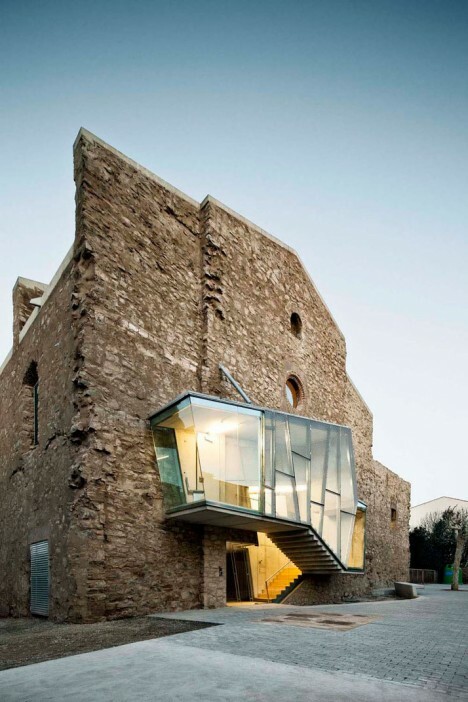 The award-winning renovation encloses and extends a portion of the living area, bridging a gap between the two original buildings.